“Your child has cancer.” This is one of the very worst sentences a parent can hear. But for parents whose child has already been treated for cancer in the past, there is only one worse: “The cancer is back.” In general, cancer in children is quite rare. 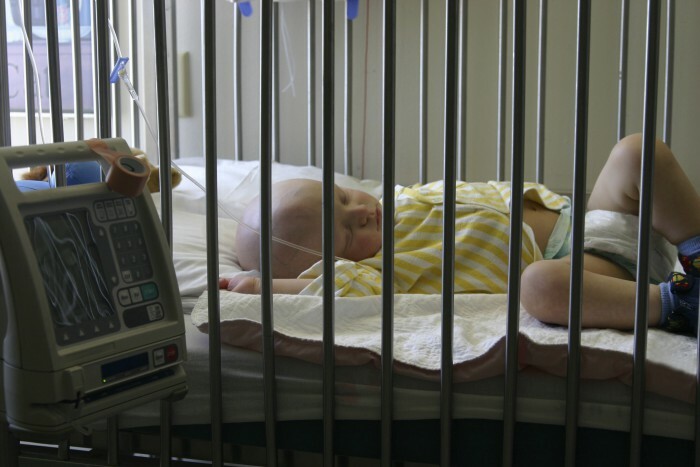 In Germany, half a million adults receive a cancer diagnosis every year, compared to about 2,000 children. And up to 500 parental couples hear the sentence about the cancer coming back. In developed countries about 80 percent of childhood cancers can be cured, meaning that after a five-year period the children are still cancer-free – and many remain this way. Fifty years ago, most afflicted children died of cancer. In half a century, cancer treatment has improved amazingly and survival rates have soared. 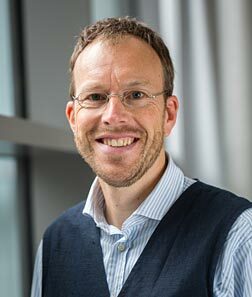 “But currently these rates have reached a plateau,” explains Prof. Olaf Witt, head of the Pediatric Brain Tumor Unit at the NCT and at the Heidelberg University Hospital. “More treatment with established drugs doesn’t automatically lead to an increase in survival rates.” The National Center for Tumor Diseases NCT is the clinical branch of the German Cancer Research Center (DKFZ), offering state-of-the-art cancer treatment together with the University Hospital. When childhood cancers return, the treatment that was effective the first time around often fails. As a consequence, the survival rates at this stage plummet to a level similar to the ones for first-time cancers fifty years ago. About one in five little cancer patients experiences a recurrence. This is why the most urgent problem in pediatric oncology today is the recurrence of cancer after intensive chemo- and radiotherapy. The DKFZ is tackling this problem, together with the NCT, the German Society for Paediatric Oncology and Haematology (GPOH), and the DKTK, the German Consortium for Translational Cancer Research in Heidelberg. All of these institutes support the INFORM register study; Prof. Witt is the clinical director of this study. The basic idea is quickly explained: The complete genome of any new tumor is analysed to identify target points for new treatment options. The tumors usually exhibit new mutations compared to the original tumor. These mutations often cause the cells’ signalling pathways to be altered and can lead to uncontrolled cell growth. But if the effects of these mutations are neutralised with innovative drugs, in a best-case scenario the tumor will shrink or even disappear. In this project, doctors and patients benefit from a peculiarity of recurrent pediatric cancers: While recurring tumors in adults often have hundreds of different mutations, in children these new tumors only show one to five genetic changes. 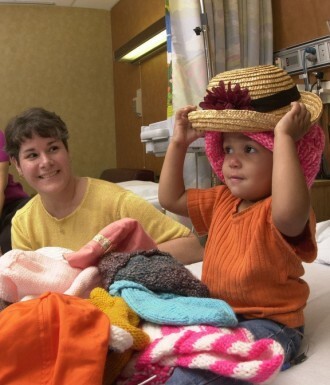 That renders the finding of target points and of targeted therapies much easier in children. If a child is diagnosed today with a recurrent cancer in one of the 50 participating pediatric cancer centers or departments in Germany, a tissue sample is send to Heidelberg for genetic testing. The INFORM specialists have reduced the time for full gene sequencing from several months to only 21 days. And time is of essence here: The children usually won’t survive several months to benefit from the analysis’ result. These specialists not only include pediatric oncologists, but molecular biologists and biostatisticians as well. During these 21 days, medical databases are sifted through to find innovative drugs to inhibit the very signalling pathways or protein syntheses caused by the new mutation. And in more than fifty percent of all searches the researchers find a fitting drug. “But this drug will only help if the mutation is vital for tumor growth,” Prof. Witt explains. If it isn’t, the patient may be treated but the tumor will continue to grow. The patients don’t have to travel to Heidelberg to be treated with these new drugs. The INFORM specialists only make a drug suggestion, but the treating physician decides whether this drug will be used, together with the child’s parents. This is usually an experimental treatment, because mostly these drugs have not been approved for the use in children with this particular tumor. As a result many health insurance companies don’t pay for the expensive drugs, at least not initially. After a long application procedure, many insurers pay – but as explained before, these children really don’t have the time to wait for results. At this point the well-known German charity ‘Ein Herz für Kinder’ (A Heart for Children) steps in and pays for all the necessary drugs, so that the sick children can be treated immediately. We are talking about costs of 5,000 to 10,000 Euros per month. And the German Cancer Aid, as well as the German Childhood Cancer Foundation, contribute to the costs of gene sequencing. Prof. Olaf Witt tells the heartwarming story of a little boy who was diagnosed with a malignant brain tumor at the age of only three months. After successful chemotherapy and radiation, a few years later the tumor was back and didn’t respond to the initial treatment any more. As part of the IMFORM project, the tumor’s genetic profil was analysed, a crucial mutation was found that could be treated with a new drug that was only approved for use against melanomas in adults, a form of skin cancer. But the boy’s tumor shrank in a three-month treatment, and he left the hospital as ‘cured’ at the age of seven. About 130 children are treated within the INFORM project each year. The project is only scheduled to run for two years, so it will be completed in 2017. But the oncologists are already planning clinical trials based on its findings to investigate whether individualized therapies based on genomic information offer better outcomes than conventional treatment (INFORM stands for ‘Individualized Therapy for Recurrent Malignant Tumors in Children’). Several cancer research centers from other countries have expressed their interest to participate in these trials: Great Britain, the Scandinavian countries, the Netherlands, and even Australia. By extending the coverage of this new research approach to other countries, hopefully many more seriously ill little patients will be cured.